This weeks #AFchat special guest was the fabulous water colorist artist Cady Driver. Cady shared with us a ton of great tips for preparing to be a vendor at an art fair. 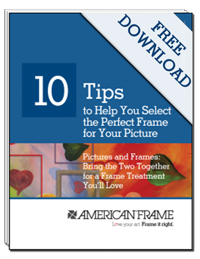 Check out the full "How to Prepare for an Art Fair" blog post on AmericanFrame.